Disappointed just under one year in Costa Rica when beaten in the final by Lily Zhang of the United States, Canada’s Zhang Mo is the top seed in the Women’s Singles event at the forthcoming 2018 Pan America Cup. 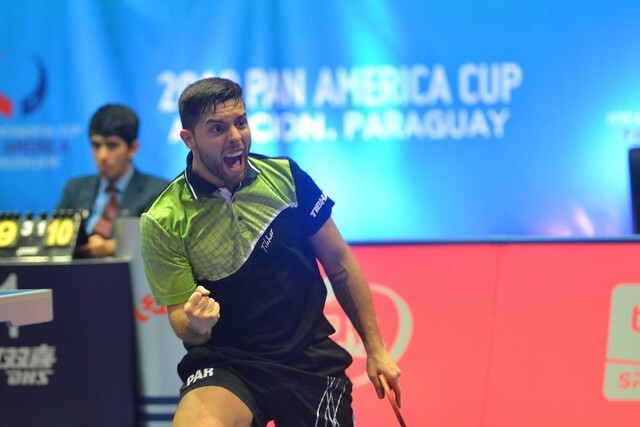 A three day tournament, with the added incentive of a place in the Uncle Pop 2018 ITTF Women’s World Cup, to be staged later in the year in Chengdu, play commences in Asuncion, the capital of Paraguay on Friday 15th June. In Costa Rica, Zhang Mo headed the list; now in Asuncion, it is the same. Wu Yue from the United States is the second seed. Similarly, she is seeking to climb that one step higher; last year in mid-September she was beaten in the final of the Women’s Singles event at the 2017 ITTF-Pan American Championships in the northern Colombian resort of Cartagena de Indias. She experienced defeat when facing Puerto Rico’s Adriana Diaz. Notably, two years earlier at the 2015 Pan American Games in Markham, Toronto, en route to securing the title, Wu Yue had beaten Adriana Diaz at the quarter-final stage. North America very much in evidence, the next two places are reserved by Latin America, Chile’s Paulina Vega and Brazil’s Bruna Takahashi are the names in question. Moreover, they are main contenders for a place in Uncle Pop 2018 ITTF Women’s World Cup, a competition in which there is one reservation for Latin America and one for North America. Notably last year in Costa Rica, Paulina Vega emerged as the leading Latin American and at the recent 2018 South American Games in Cochabamba, Bolivia remained unbeaten throughout the Women’s Team event. However, the player to attract the attention in the Bolivian city was Bruna Takahashi, she completed a clean sweep of titles – Women’s Team, Women’s Singles, Women’s Doubles and Mixed Doubles. Proceedings commence with the initial stage comprising four groups, three players in each group. Players finishing in first places advance to the quarter-finals, the stage at which the top four names – Zhang Mo, Wu Yue, Paulina Vega, Bruna Takahashi – enter the competition.